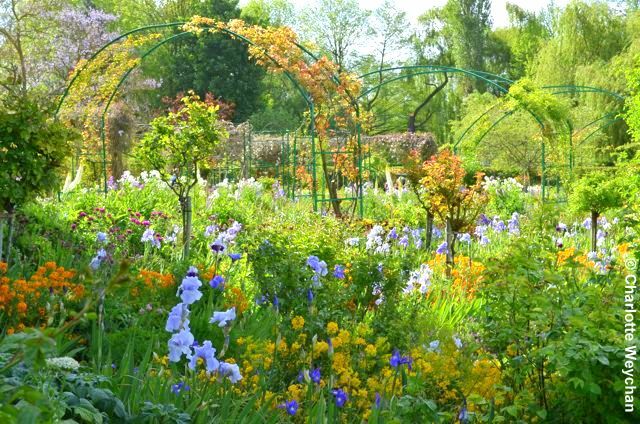 Claude Monet claimed he was "good for nothing except painting and gardening", but his reputation as one of the world's leading Impressionist painters and the garden he created during the last 50 years of his life at his home in Normandy, has put Giverny firmly on the French gardening map. 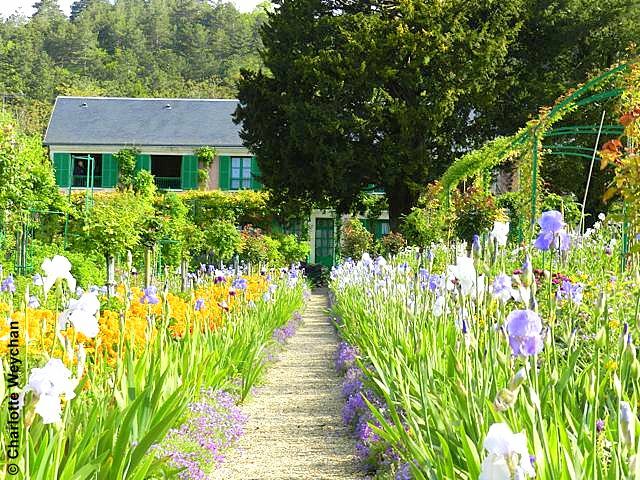 Today more than 600,000 visitors a year make the pilgrimage to Monet's former home, to see the garden that gave him inspiration for some of his best-known paintings. And for the last year, the Head Gardener there has been an Englishman - James Priest - a horticulturalist from Lancashire. Monet moved here in 1883 and remained here until the end of his life, drawing inspiration for his paintings from the garden that he created. Indeed, some of his best loved paintings are of the water lilies here at Giverny. But what's memorable about the property here is that it's actually two very different gardens, with formal flower beds below the artist's home - Clos Normand - and a separate water garden accessed by a tunnel. It's hard to say which is more photographed - the distinctive pink house with its green shutters - or the Japanese bridge into the water garden, thick with wisteria at this time of year. The gardens surrounding Clos Normand are a series of long, narrow flowerbeds separated by gravel paths, which are filled to capacity throughout the season, starting with tulips in springtime and followed later by magnificent lilies, roses and other brightly-coloured annuals and perennials. The planting is almost frenetic, so busy are the beds, but sheer visitor numbers mean that you can no longer wander up and down the gravel paths at leisure - you are kept at bay by green chains (above) and must follow a particular route around the garden. Monet liked to grow flowers in the garden close to his house so he could put them in vases to paint on rainy days. Today James Priest and his team of eight gardeners are committed to keeping the planting style as close as possible to the way it was when the great painter was still alive. After Monet died in 1926, the house and garden fell into complete disrepair and was totally neglected until his son, Michel, bequeathed the estate to the Parisian Academie des Beaux-Arts in 1966. 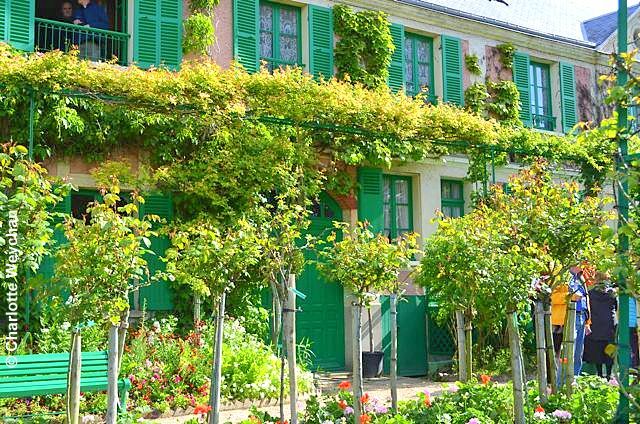 But it was not until 1977 that they raised sufficient funds to restore the property and after three years of hard labour, Giverny re-opened to the public in 1980. 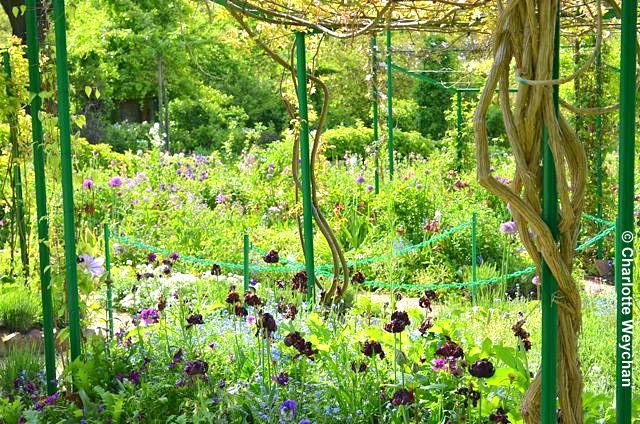 Gilbert Vahe masterminded the recreation of the garden once sufficient funds had been raised to restore it and he remained at Giverny as Head Gardener until 2011. 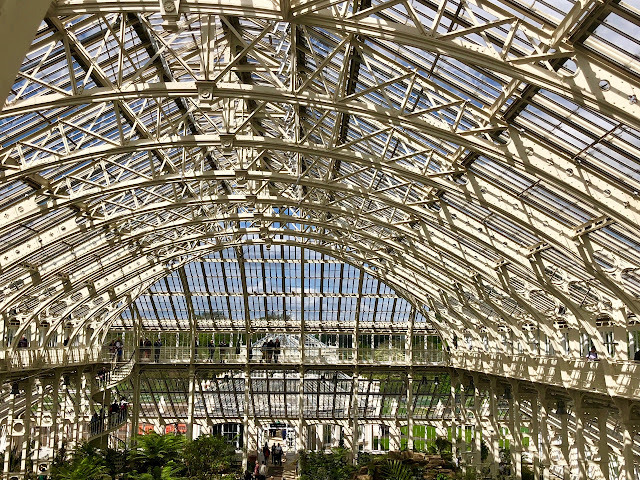 In the early days, there were never more than 70,000 visitors a year, but as news spread about the gardens, numbers rose and today, James Priest and his team of gardeners are faced with the daunting challenge of hundreds of thousands of pairs of feet trampling through the gardens. 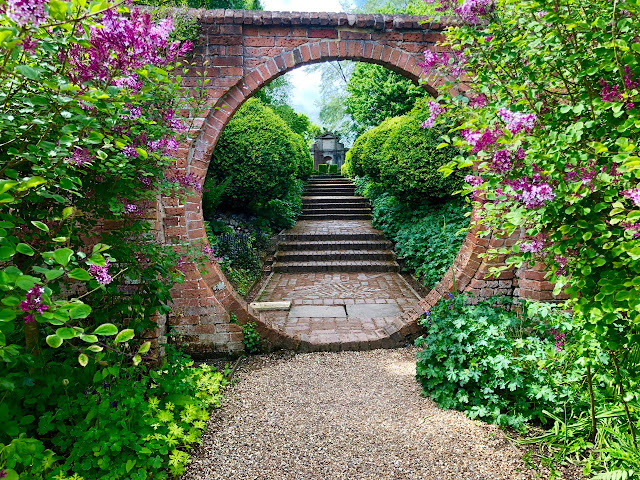 But he is no newcomer to the world of French gardens, having worked for 17 years previously at Royaumont near Chantilly, for Baron de Rothschild. In 1893 Monet bought the meadow opposite Clos Normand because he wanted to make a water garden and then diverted a branch of the River Epte to fill the ponds he'd dug there. The tempo here is completely different because he laid out this section of the garden in naturalistic style using exotic trees and shrubs and added a Japanese-style bridge. 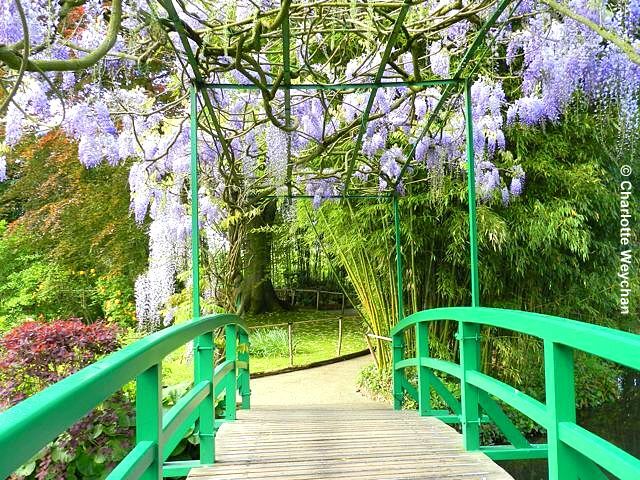 It has been replaced to accommodate the huge numbers of visitors, but has become synonymous with Giverny because of its bright green colour and swathes of mature wisteria in early summer. The water lilies here are magnificent in high summer. They cover the ponds and are reminiscent of Monet's huge and increasingly abstract paintings, created during the last years of his life. 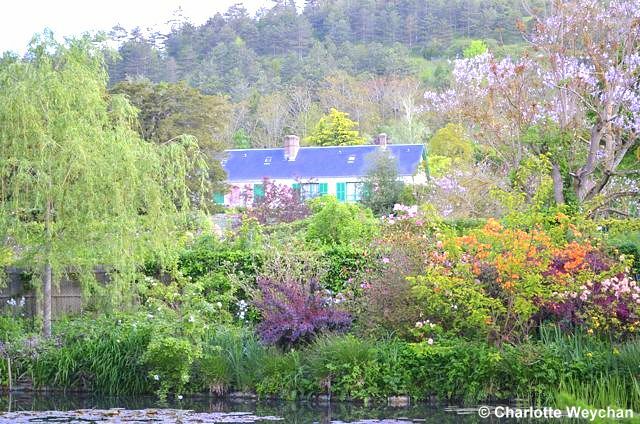 But whichever bit of the garden you are in, it's easy to see why Monet loved his home. When the sun shines, it is bathed in a wonderful soft light, and even the massive crowds cannot detract from its beauty. And for those of us who don't paint, the garden is a photographer's paradise! 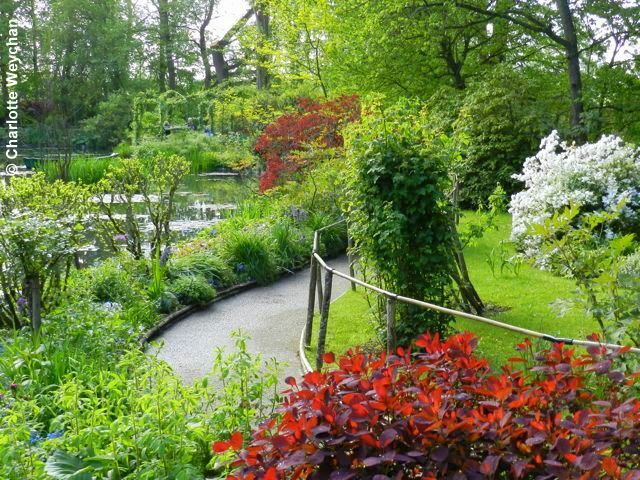 Giverny is open every day from 1st April to the end of October each year, from 9.30-18.00. If you're planning a visit, buy your tickets online (www.fondation-monet.com) before you go and print them out. This means that when you get there, you can go straight to the head of the queue and have your ticket scanned for immediate entry. You might just get a few minutes peace in the garden before the crowds descend upon it. 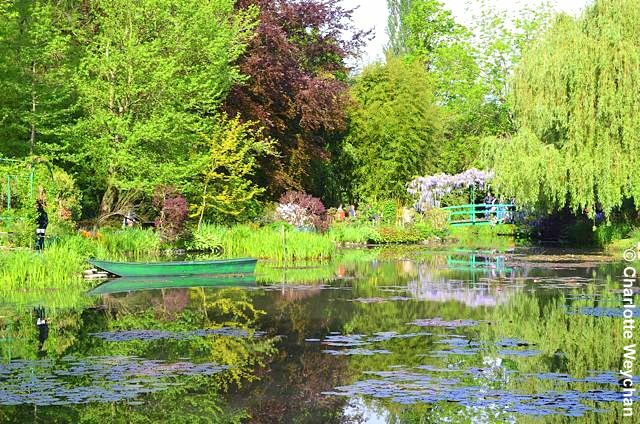 There's never a quiet time to visit Giverny because it has become so famous, but you can minimise the waiting in line by buying your tickets ahead. And if you make it to Monet's garden, make sure you visit Les Jardins Agapanthe too! What a beautiful set of photos. Yes, I can almost smell those flowers. Thanks for the tour to gardens I'll never ever get to see. I'm so glad you take the time to share with us all.